Welcome to this year’s première issue of The Prague Preview, with a full year of exciting events ahead of us. This spring, Prague will charm you with its popular Easter markets, you’ll get an exclusive peek into many off-limits buildings during the Open House festival, and music lovers of all genres are certain to find something to enjoy during the Prague Spring, United Islands, and Metronome festivals. Below are even more tips for July and August. See you in Prague soon! Finding your perfect culture and entertainment fix in Prague will be a breeze with our new brochure, outlining not only Prague’s temples of culture, but also suggestions for events, alternative and independent venues, contemporary art in public spaces and other reasons for making Prague your cultural destination. The guide is available free of charge from our tourist information centres; you can also download it free or order it from our e-shop. Over the 120 years of its existence, The Mánes Association of Fine Artists has brought together hundreds of artists many different fields – not just painting and sculpture, but also design, photography, and typography. Some 150 works on display will highlights the different Mánes generations and their leading figures, including painter Antonín Slavíček, sculptors Jan Štursa, Emil Filla, and Otto Gutfreund, and the Surrealist artist Toyen. More. During this international festival of historical musical styles, the performances stand out for their use of original instruments, period costumes, original choreography, gestures, rhetoric, and stage makeup. 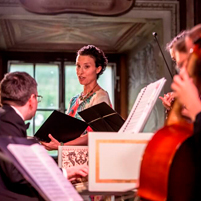 The 20th edition will feature different forms of music festivities and celebrations throughout the centuries, with special attention being paid to staging, notably to Baroque-era dance. More. The living legends of heavy metal are bringing their energetic show into this open-air venue, with support by Ghost (Sweden) and Bokassa (Norway). 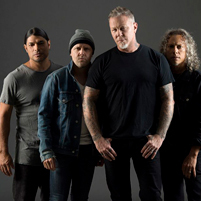 Fans can look forward to tracks from their latest Hardwired...to Self album, as well as older hits, plus maybe – just maybe – a Czech tune or two. More. 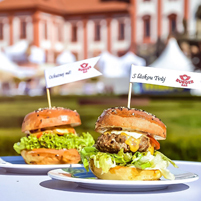 Spread your picnic blanket in the beautiful gardens of the Troja Chateau and dig into delicacies prepared by the best Prague chefs. Bring your friends and kids, too – as always, there will be plenty of fun workshops and cooking shows to partake in, all in a relaxed and friendly atmosphere perfect for a get-together with your nearest and dearest. More. In 2018, Prague’s astronomical clock underwent a thorough restoration. Now that it’s back in place and more beautiful than ever, it’s time to get to know it in more detail. Come explore its medieval mechanism, find out what types of time it shows, and learn to recognize what and whom its sculptural decorations depict. Our brand-new brochure will be your trusty source of all this fascinating info; buy it for CZK30 from our information centre in the Old Town Hall, or receive it free with your Old Town Hall admission. For the third year running, the event will highlight Prague’s working vineyards, their history and present state, as well as plans for the future. This year’s edition offers an expanded programme of wine tastings, highlighting local wines’ authentic character. Free or symbolic admission. 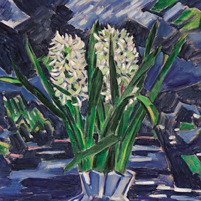 Works drenched in light and colour, on loan from the Ordrupgaard Museum in Denmark, will be on view at the Kinsky Palace in Old Town Square starting in June. The exhibit highlights the impressionists – Claude Monet, Edgard Degas, Pierre Auguste Renoir, Alfred Sisley, and Camille Pissarro, but also those artists whose work shows other artistic influences – Romanticism (Eugène Delacroix), Realism (Gustave Courbet), the Barbizon School (Jean-Baptiste Camille Corot), and post-impressionism (Paul Cézanne, Paul Gauguin). The fresh OBE holder, four-time Grammy winner, and five-time BRIT Award winner will bring his own blend of acoustic pop, folk, R&B, and hop-hop to the open-air venue. There’s no doubt that Shape of You, Perfect, Castle on the Hill, Galway Girl and other hits will be on the agenda. The legendary industrial metal band from Germany will release a new album this spring, and will showcase it during their two concerts at the Eden Arena. As is customary for Rammstein, their dramatic, perfectly choreographed shows feature crazy masks and a circus of pyrotechnics with plenty of smoke and explosions. Tall, slender, slightly stooping, and always in motion – such are the figural sculptures of Alberto Giacometti (1901–1966), one of the 20th century’s most prominent artists. There will be over 100 sculptures on display, including valuable gypsum originals, complemented by paintings and drawings selected from the artist’s entire oeuvre. From extreme feats of athleticism to subtle poetry, from thrilling adventure to uncontrollable laughter, from superb acrobatics to playful clownery, and from grand shows to street circus, the performances of Summer Letná international festival present all the varying forms and formats of new circus. The full lineup will be announced in March, but the Cirque Alfonse from Canada have already confirmed bringing their new show Tabarnak.